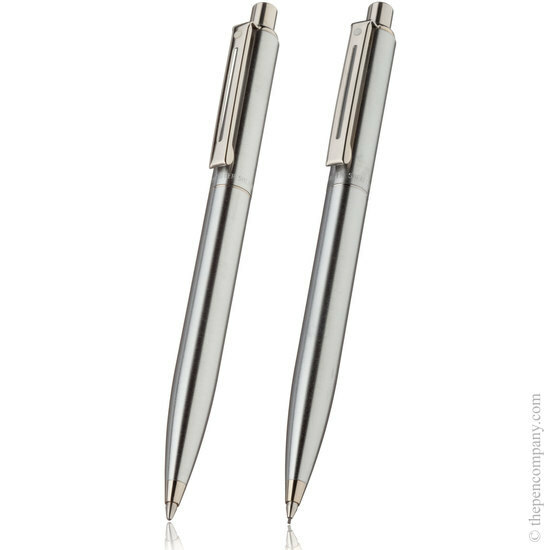 Available as both ball point pen and mechanical pencil in either a matt black lacquered brass, or brushed stainless steel. 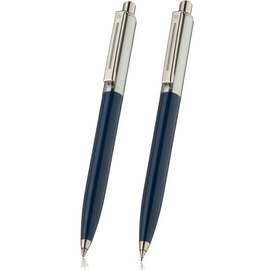 The steel version are available with both nickel or gold tone trim and the matt black with the gold tone only. 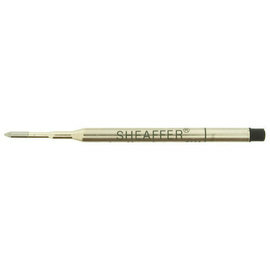 The ball pen features a reliable smooth-acting push button mechanism and accepts the standard Sheaffer 'K' ballpoint pen refill. 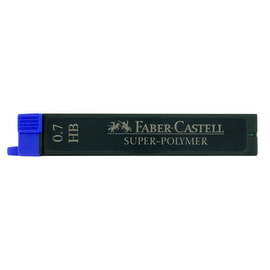 The mechanical pencil, also with push-button action accept 0.7 millimetre lead.